An Evening with the Creative Class is a series of informal presentations and discussions on the arts with a panel of curated guest artists and scholars sharing their talent in an enriching evening of community, networking, and discussion. The event will take place on the campus of UNCG, located at 1408 Walker Avenue; Greensboro, NC in the School of Dance, Coleman Building Theatre 306. 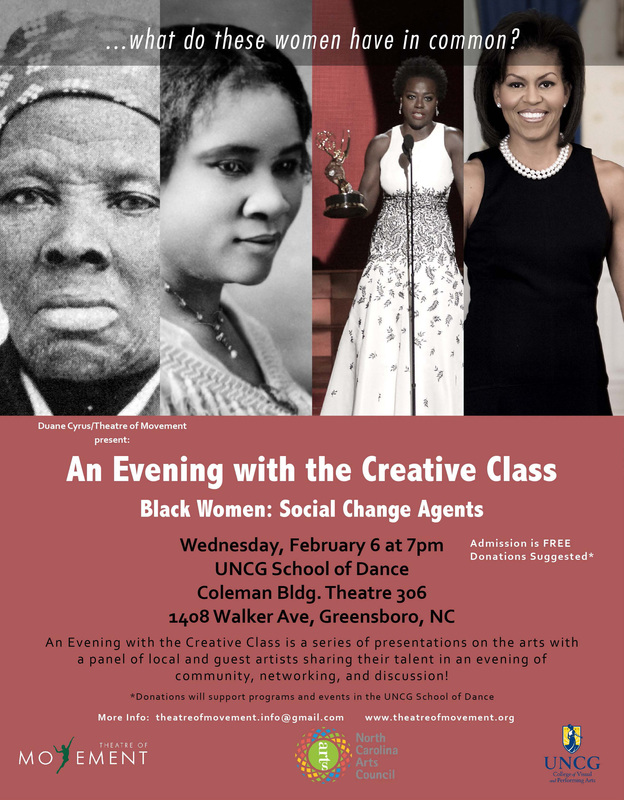 The theme for the spring 2019 forum is “Black Women: Social Change Agents.” This event was supported by the N.C. Arts Council, a division of the Department of Cultural Resources and the UNCG School of Dance in the College of Visual and Performing Arts. 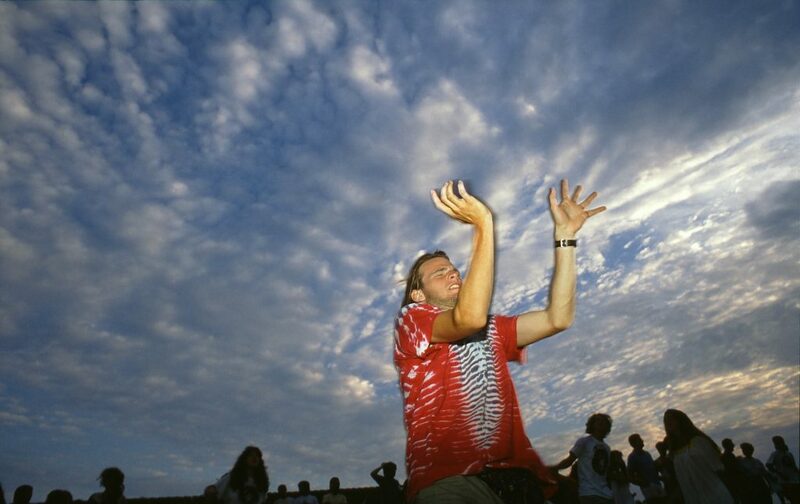 It is produced and curated by Duane Cyrus, professor in the School of Dance and director of Theatre of Movement. Presenting artists and panelists for this event will be announced and include local artists, entrepreneurs, scholars and students.